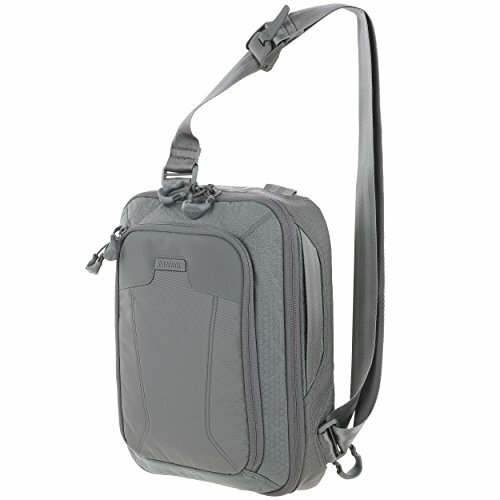 The Mini valence (pronounced "vay-licence") is a smaller version of the popular valence tech sling pack. It is CCW compatible with an adjustable strap for right or left side carry. The pack can also be easily changed from a sling bag to a shoulder bag. A padded main compartment with lockable zipper sliders has a dual access padded 11" laptop/tablet compartment. There is 2-way access to a fully loop-lined rear CCW compartment, and a double-sided hook security lockout strip is included. The overall volume of the pack is 427 cubic inches (7 liters). If you have any questions about this product by Maxpedition, contact us by completing and submitting the form below. If you are looking for a specif part number, please include it with your message.